The new cast of X-Men: Days Of Future Past was a big news a couple years ago. Director Bryan Singer has done it again today by experimenting on another set of younger breed of actors portraying big superhero roles in the big screen. 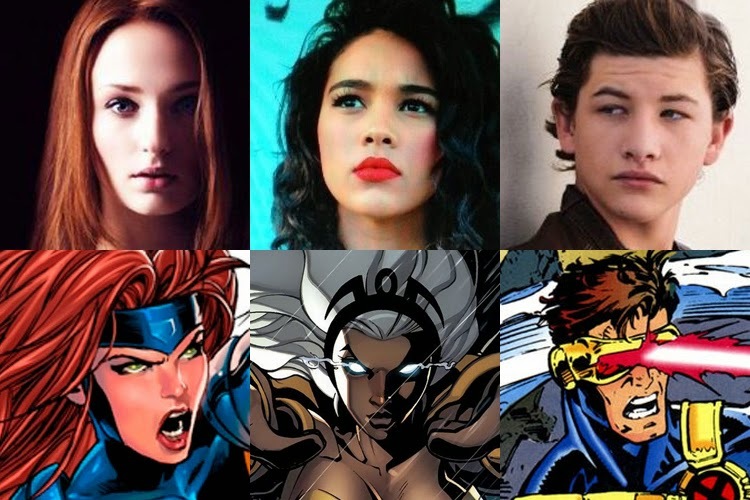 Just a short while ago, Singer tweeted that new young actors that will be playing Storm, Cyclops and Jean Grey in 20th Century Fox's X-Men: Apocalypse. Sophie Turner, who plays Sansa Stark on HBO's Game of Thrones, will play Jean Grey. The mutant with telepathic powers was previously played by Famke Janssen ("Taken"). Alexandra Shipp, best known for playing KT Rush on the show House of Anubis, will play Storm (Ororo Munroe). The mutant that can control the weather was previously played by Halle Berry ("Monster's Ball"). Tye Sheridan, who starred alongside Matthew McConaughey in Mud, has landed the role of Cyclops (Scott Summers). The mutant that shoots powerful optic beams was previously played by James Marsden ("Superman Returns"). X-Men: Apocalypse, Welcomes Kodi Smit-McPhee as the Nightcrawler! X-Men: Apocalypse will open in US theaters May 27, 2016.